The Ravens played the Eagles tough that day; given the deficiencies of the Baltimore offense, the Ravens’ defense played very proudly. It took all of Donovan McNabb and T.O. at the height of their powers to score on a fourth-quarter touchdown pass — which included some post-contact effort from T.O. — and eke out a 15-10 win. Of course, what followed that touchdown was one of the season’s more memorable moments, as T.O. 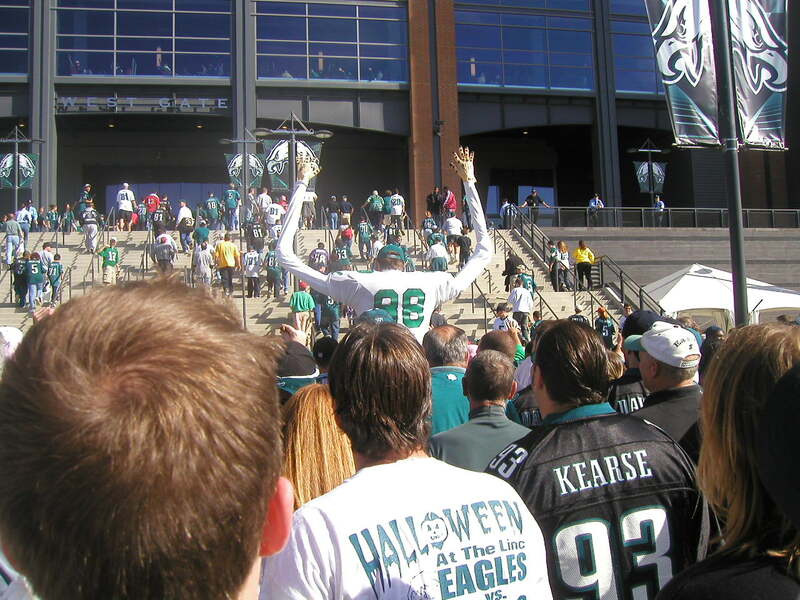 parodied Ray Lewis’s entrance dance as a post-score celebration. Say what we will about T.O. (and we’ll all say a lot), but I kind of wish somebody on the Birds had the stones to pull a stunt like that. This team has looked lifeless for the past couple weeks. They could use something obnoxiuos, and proud, and loud like that to get them fired up. It doesn’t need to mock the other team (though we don’t hate that idea), but it needs to change the tone of the conversation for the Eagles. Who’s going to be that guy? Right now, I feel like the Eagles are watching called third strikes. They’re telling us they’re working on it, and playing their hearts out, and all that, but it doesn’t look like it. They seem a little too nice. I dunno. Maybe it’s the lingering hangover from a draw, but I’d like to see more desperation this week. Something random, something angry, something that at least suggests they aren’t going quietly. Might I suggest a new juvenile motivational tactic?